© Nishida et al. ; Licensee Bentham Open. Severe social withdrawal, called hikikomori, has drawn increased public attention. However, an optimal clinical approach and strategy of treatment has not been well established. Here, we report a case of hikikomori for which an exercise intervention using jogging therapy was effective, showing cerebral hemodynamic improvement. The patient was a 20 year old Japanese male who was hospitalized in order to evaluate and treat severe social withdrawal. Although depressive and anxiety symptoms partially subsided with sertraline alone, social withdrawal persisted due to a lack of self confidence. With his consent, we implemented exercise therapy with 30 minutes of jogging three times a week for three months. We did not change the pharmacotherapy, and his social withdrawal remarkably improved with continuous jogging exercise. Using near infrared spectroscopy to evaluate hemodynamic alteration, bilateral temporal hemodynamics considerably increased after the three-month jogging therapy. Regarding exercise therapy for mental illness, numerous studies have reported the effectiveness of exercise therapy for major depression. This case implied, however, that the applicability of exercise therapy is not limited to major depressive disorder. Jogging therapy may contribute to reinforcing self confidence associated with “resilience” in conjunction with neurophysiological modulation of neural networks. Keywords: Actigraphy, Hemodynamics, Hikikomori, Jogging, Near-infrared spectroscopy, Social withdrawal. Severe social withdrawal, called hikikomori, has drawn increased public attention, especially in Japan. However, it has developed into an international issue across several cultures [1, 2]. Hikikomori is characterized by severe social withdrawal and isolation for more than six months that is not due to obvious psychosis, mental retardation, or other mental disorders; however, there are likely various psychiatric implications related to hikikomori, such as social anxiety disorder . It is extremely difficult to make a concrete evaluation of hikikomori, as well as to provide suitable treatment. Treatment resistant hikikomori has been a severe problem in the clinical field because pharmacotherapy may only produce a partial effect. Although the efficacy remains controversial , physical exercise is considered to be beneficial for alternative treatment of psychiatric illness, especially major depression . Its application to other mental illnesses is worthwhile, given that eligibility for exercise therapy is sufficiently evaluated. Here, we report the case of a young male inpatient with hikikomori who responded to regular continuous jogging exercise intervention for three months. Hemodynamic alteration as a function of the exercise intervention was assessed by near infrared spectroscopy (NIRS). The protocol was approved by the Ethics Committee of Jichi Medical University. A 20 year old male presented with severe social withdrawal identified as hikikomori since he was a junior high school student due to severe social anxiety with extreme avoidant tendencies. No abnormal developmental findings were observed in his childhood. He was persuaded by his family to see a doctor and was voluntarily hospitalized to evaluate the diagnosis and possible treatment. Magnetic resonance imaging and electroencephalography revealed no abnormal physiological findings. Psychotic symptoms indicative of other psychiatric disorders such as schizophrenia were not observed. As his history did not reveal communication difficulties or adhesive features, autistic spectrum disorder was considered an unlikely diagnosis. Regarding intelligence, he scored 88 on the VIQ, 50 on the PIQ, and 66 on the FIQ components of the Wechsler Adult Intelligence Scale, Third Edition. He showed depressive and anxiety symptoms that were likely due to social isolation as a function of hikikomori, scoring 46 on the Center for Epidemiologic Studies Depression Scale. Taken together, the patient was diagnosed with social anxiety disorder with mild mental retardation according to the criteria of DSM-5 (Diagnostic and Statistical Manual of Mental Disorder, Fifth Edition), showing severe hikikomori for around four years. (A). Channels comprising frontal ROI. (B). Channels comprising right lateral ROI. (C). Channels comprising left lateral ROI. ROI: region of interest. On admission, 25-mg daily sertraline was initiated and increased to 50 mg after a week. 50 mg sertraline monotherapy was not changed throughout the intervention. Although sertraline was effective for depressive-anxiety symptoms, the efficacy was partially limited, and social anxiety and his lack of self-confidence remained. One and one half months after admission, we introduced jogging around the hospital three times a week, accompanied by the resident, as a secondary therapy. As physical complications were carefully excluded by the examination, the jogging schedule was assigned to the patient as an exercise treatment three times a week. After acquiring his consent, the patient was instructed to perform about 30 minutes of jogging (a distance of approximately 1000 meters) at a reasonable speed in the athletic grounds of the university. In order to assess daily activity, including calorie consumption and sleep condition, waist actigraphy (FS750, Estera Co., Saitama, Japan) was attached to the patient. The accuracy of waist actigraphy has been previously reported . Daily average steps, daily calories burned, and daily calories including basal metabolism were 7286 ± 2625, 402.7 ± 113.1, and 2232 ± 126, respectively. Through the three month intervention with jogging therapy, social anxiety symptoms gradually reduced and self-confidence improved. In addition, insomnia and psychomotor inhibition improved. He has discharged 144 days after admission and began working in a factory. We evaluated cerebral hemodynamic alteration as a function of the jogging intervention by NIRS examination using a verbal fluency task (VFT). In terms of hemodynamics, relative oxygenated hemoglobin (oxy-Hb), deoxygenated hemoglobin (deoxy-Hb), and total hemoglobin (total-Hb) were measured using an ETG-4000 52-channel optical topography system (Hitachi Medical Corporation, Tokyo, Japan), as described in a previous study . We calculated the frontal grand average waveform of the frontal region of interest (ROI) and the bilateral temporal grand average waveforms from the bilateral temporal ROI (Fig. 1). The integral values during the VFT from the oxy-Hb waveforms in both the frontal and the bilateral temporal ROIs were used as markers of cerebral activity. Although the integral value in the frontal ROI was not altered, the integral value in the bilateral temporal ROI increased significantly after the continuous jogging therapy (Fig. 2). Throughout the case study, our patient with social anxiety disorder was consistently treated with selective serotonin reuptake inhibitor pharmacotherapy. Although the administration of sertraline may have reduced social anxiety, this would have been limited to a partial effect because psychomotor inhibition did not improve substantially after the effect of sertraline emerged. It has been broadly accepted that early intervention for mental illness among younger people, such as those with at-risk mental states, is a therapeutic approach resulting in good long-term prognosis. However, excessively early interventions may carry a risk of yielding false positives, especially when prescribing psychotropic agents . Exercise therapy is a possible non pharmacological option for young patients that has shown promising results. Although exercise therapy has mostly been applied as a treatment for major depressive disorder, among various psychiatric disorders, its clinical efficacy has remained under debate . In spite of the exact mechanisms how exercise affects the brain, including brain-derived neurotrophic factor (BDNF), vascular endothelial growth factor (VEGF), insulin like growth factor (IGF-1) and the gene VGF (nerve growth factor inducible), are not fully understood, properly designed studies elucidated that exercise training can be as effective as antidepressive medications . This case likely responded well to exercise therapy because of the management of the duration and vigor of exercise, as comfortable and reasonable exercise expectations were maintained. Grand average waveforms during the VFT task: Red line indicates grand averaged oxy-Hb data and blue line indicates grand averaged deoxy-Hb data. (A). Frontal hemodynamic change prior to the exercise therapy. (B). Frontal hemodynamic change after the exercise therapy. (C). Bilateral temporal hemodynamic change prior to the exercise therapy. (D). Bilateral temporal hemodynamic change after the exercise therapy. VFT: verbal fluency task. The clinical improvement was clear in terms of both mental status and daily behavior. In addition, increased hemodynamics in the bilateral temporal region were prominent as a result of the exercise intervention. Altered hemodynamics measured by NIRS using a VFT may represent a neurophysiological index to distinguish and evaluate depressive states . Although Noda et al. suggested that oxy-Hb changes during VFT in the right dorsolateral prefrontal cortex may be a state dependent marker of major depression , this case did not exhibit hemispheric differences in hemodynamics, and thus we provided averaged waveforms for the bilateral temporal regions. It has been speculated that hemodynamic changes observed in the frontal region are likely a trait-dependent marker, whereas those observed in the temporal region are a state dependent marker . Taken together, measuring hemodynamics using NIRS was useful for objective evaluation of the efficacy of treatment. It is noteworthy that not only exercise but also the psychological interaction between patient and clinician during running sessions positively influenced the treatment. Exercise therapy may be incorporated to enhance multifactorial treatment, such as treatment including pharmacological, psychological, and occupational methods, as a way of strengthening resilience . This case implies that exercise has considerable potential to treat hikikomori, implicating cerebral plasticity measured as the neurophysiological biomarker. Masaki Nishida and Senichiro Kikuchi designed the treatment and drafted the manuscript. Kazuhito Fukuda participated in the treatment and helped to draft the manuscript. Masaki Nishida and Senichiro Kikuchi performed experiment and analysis of near infrared spectroscopy. Satoshi Kato provided general advice for treatment and supervised completion of the manuscript. Each author participated sufficiently in the work to take public responsibility for appropriate portions of the content. All authors have read and approved the final manuscript. The authors wish to thank their colleagues in the Department of Psychiatry at Jichi Medical University. Furlong A. The Japanese hikikomori phenomenan: Acute social withdrawal among young people. Sociol Rev 2008; 56: 309-25. Kato TA, Shinfuku N, Sartorius N, Kanba S. Are Japan’s hikikomori and depression in young people spreading abroad? Lancet 2011; 378(9796): 1070. Koyama A, Miyake Y, Kawakami N, Tsuchiya M, Tachimori H, Takeshima T. Lifetime prevalence, psychiatric comorbidity and demographic correlates of “hikikomori” in a community population in Japan. Psychiatry Res 2010; 176(1): 69-74. Cooney G, Dwan K, Mead G. Exercise for depression. JAMA 2014; 311(23): 2432-3. Trivedi MH, Greer TL, Church TS, et al. Exercise as an augmentation treatment for nonremitted major depressive disorder: a randomized, parallel dose comparison. J Clin Psychiatry 2011; 72(5): 677-84. Enomoto M, Endo T, Suenaga K, et al. Newly developed waist actigraphy and its sleep/wake scoring algorithm. Sleep Biol Rhythms 2009; 7: 17-22. Maki A, Yamashita Y, Ito Y, Watanabe E, Mayanagi Y, Koizumi H. Spatial and temporal analysis of human motor activity using noninvasive NIR topography. Med Phys 1995; 22(12): 1997-2005. Schaffner KF, McGorry PD. Preventing severe mental illnesses-new prospects and ethical challenges. Schizophr Res 2001; 51(1): 3-15. Helmich I, Latini A, Sigwalt A, et al. Neurobiological alterations induced by exercise and their impact on depressive disorders [corrected]. Clin Pract Epidemol Ment Health 2010; 6: 115-25. [corrected]. Takizawa R, Fukuda M, Kawasaki S, et al. Neuroimaging-aided differential diagnosis of the depressive state. Neuroimage 2014; 85(Pt 1): 498-507. Noda T, Yoshida S, Matsuda T, et al. 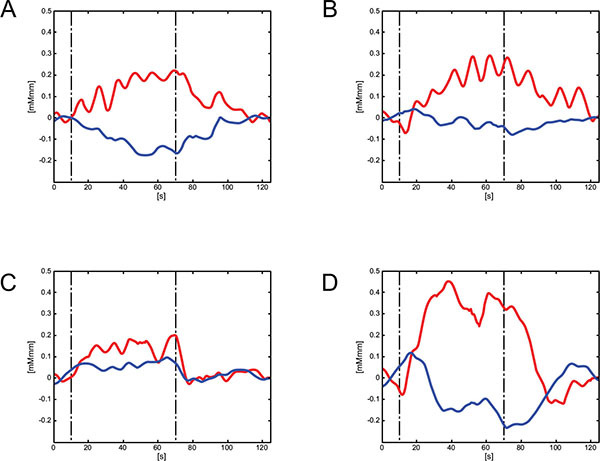 Frontal and right temporal activations correlate negatively with depression severity during verbal fluency task: a multi channel near infrared spectroscopy study. J Psychiatr Res 2012; 46(7): 905-12. Watanabe A, Kato T. Cerebrovascular response to cognitive tasks in patients with schizophrenia measured by near infrared spectroscopy. Schizophr Bull 2004; 30(2): 435-44. Rutten BP, Hammels C, Geschwind N, et al. Resilience in mental health: linking psychological and neurobiological perspectives. Acta Psychiatr Scand 2013; 128(1): 3-20.